Ideal for surface disinfection in all clinical areas. Strong non-woven biodegradable material, contains 70% isopropyl alcohol. Kills food poisoning and food spoilage bacteria, viruses and fungi. 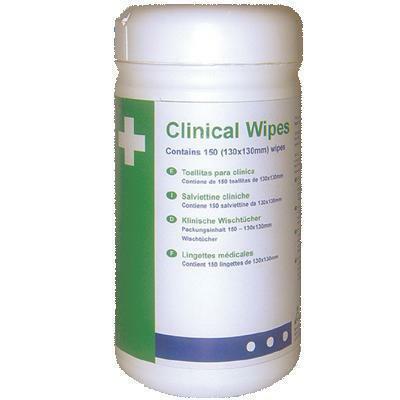 Wipes 130x130mm, 150 per tub.